I’m sure you’ve all heard the saying “failing to prepare is preparing to fail”. I can safely say that this applies to me if I don’t dedicate time to meal prep and planning. Planning out what you’ll eat each day is a great way to ensure that you will stick to healthy eating habits. It also frees up a LOT of time during the workweek. I use my Sunday afternoons or evenings for meal prep and it’s actually a nice way to end the weekend. 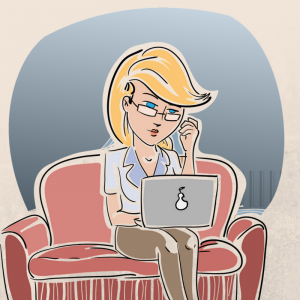 It took me some time to get into the habit of it and to reprogram myself and my priorities. Now I really look forward my Sundays and getting everything ready for the new week! I want to share with you some of my tips for meal planning and prep. But before I get into that, one thing you will definitely want to do is invest in some good quality containers. I recently transitioned from plastic containers to glass containers. I started using Glasslock Oven Safe containers, because they are oven-safe, microwavable and freezer safe. I love that I can use them for all purposes and they are BPA free! Before starting your meal preparation, you have to plan out your meals. I promise this gets easier over time, but in the beginning it can be a little overwhelming between the meal planning and the prepping. 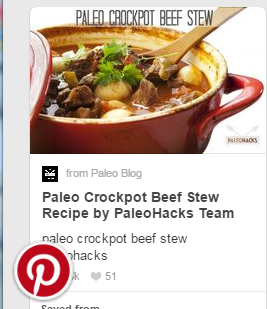 I have a couple of great cookbooks that I pull recipes from and, of course, Pinterest. I pretty much follow a clean gluten free diet, but my husband does not, therefore making my situation a little tricky. I pick recipes that can accommodate the both of us and go from there. I write down what I plan on cooking for each day and what ingredients I’ll need for each meal, check and see what I already have in the house and make my grocery list. I tend to choose at least one meal that can be made in the crock-pot that will last for several meals and can be re-purposed into different types of meals. For example, I’ll make pulled pork in the crock-pot and we can use that for dinner tacos, breakfast tacos with eggs, pork fried rice (a gluten free version for me! ), pulled pork sandwiches, etc. So it’s not like you’re eating the same old thing every day. Also, I plan for veggies to be incorporated into every meal. They are great for you, they fill you up and they are easy to prepare quickly. My refrigerator pretty much looks like the produce section of a market most of the time. After meal planning, the meal prep can be done many different ways. I carve out time each Sunday to do my meal prep and any cooking I choose to do. It takes a couple of hours but it’s oddly relaxing because I’ve got a pretty good system down now. I personally don’t do much for breakfast prep other than make sure that I have Garden of Life RAW Protein and Greens Powder, spinach and blueberries. However, there are plenty of ways to prep for a daily breakfast. For example, you can prepare breakfast patty in advance, healthy frittata or breakfast casserole, all of which can be easily reheated each day and will definitely get you through the week without spoiling. I often use almond milk in my breakfast smoothies and I make this from scratch instead of store bought. So this is something I will do on my Sunday afternoons. It’s so easy to do and only takes about 10 minutes of your actual time. 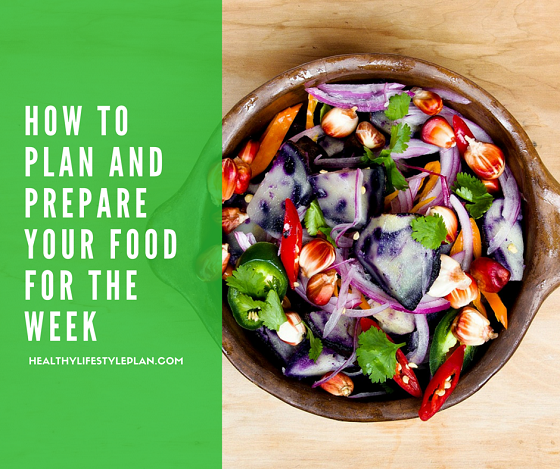 I usually prepare my lunches and weekday snacks first. I tend to be okay with eating the same lunch every day, but it’s easy to mix up lunches too. Firstly I always bring veggies and hummus to have as a snack. I prepare my own hummus and I chop up all the veggies I will need for the entire week and store them in one of my glass containers. 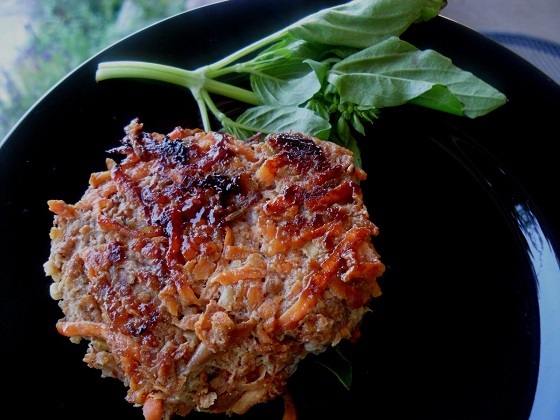 Typically I will make a turkey patty packed with apple, sweet potato and spices for my lunch. Other times I will grill chicken or bring hard boiled eggs with avocado. I try to keep my lunches simple and light. I pack all this up in a recyclable bag and bring it all to work – I stock up my work fridge with my lunch and stack items for the entire week. This way I don’t have to remember to bring that with me every single day. One less thing to do! As I mentioned above, I try to cook at least one long lasting crock-pot meal per week, to make things a little easier. I will prepare this on Sunday night and turn the crockpot on before I leave for work on Monday morning. That makes my Mondays oh so easy. As for the rest of the dinners I will prepare during the week, I have them planned out and I prepare any sauces or dressings I might need in advances. For example, I do not eat dairy, but if I’m planning on making a pizza for dinner, I will make a nut cheese in advance and store it in the refrigerator. I usually have leftover sauce in the freezer that I prepared at some point or another to use for the pizza as well. Sidebar tip, freeze some of the food you make! That way you can use it in a pinch or re-purpose some of those leftovers, like the leftover sauce, for a new meal. 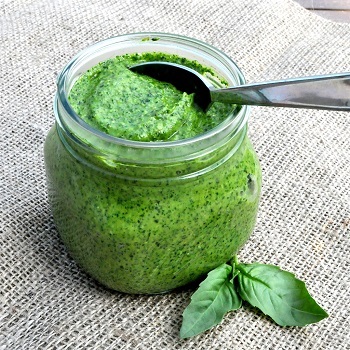 One sauce I’ve been obsessed with lately, which is very easy to make and also pretty healthy, is homemade roasted garlic pesto sauce. I will prepare this on a Sunday and I can use it for creating a grilled chicken with zucchini noodles or use that as a sauce for a homemade pizza. It tastes amazing and is so versatile. We all need to treat ourselves a little, right? I like to try some new paleo, gluten free friendly dessert recipes every now and then and I’ll prepare these on Sundays as well. It’s a nice little snack to eat while you’re getting everything else ready for the week. One thing I’ve learned when it comes to meal prep and planning is to take your time. Enjoy it! I try to incorporate a new recipe every week, which is a fun way to mix things up. I’ve learned to be a little systematic about my meal prep and cooking. I’ll pull all of the ingredients I need for a particular meal and put them on the counter. I’ll measure out all of the spices and put them in a small bowl, cut up any veggies that need to be incorporated and place them in a bowl as well. That way, when I’m ready to cook, that part is done, making it easier to get to the cooking part. Once I get one meal cooking, I’ll start on the next recipe, and so forth and so on. I have all of my containers out and ready to be filled with my meals and I snack on my healthy homemade paleo gluten free cookies while I do so. My treat to myself for all of the hard work! Today I shared some of my best tips for meal preparation. It may seem overwhelming at first, it did for me. Start small. Maybe just start with planning your lunches for the week. As you get a system going, it will get easier to do more at one time. Eventually, you’ll start to do this with your eyes closed. Meal prep and planning has really been the key to keeping me on track with eating healthy, saving money and saving time. I hope that this article was helpful for you! I’ve added some of the recipes I mentioned in this article below and I hope you enjoy trying them out! Have you tried meal preparation? What worked for you and what didn’t? We’d love to hear from you in the comments below or feel free to contact me here.